Ms. Yasmeen Lari founded the Heritage Foundation of Pakistan and has been involved in the preservation and conservation of historical buildings, while also designing contemporary architectural projects as the country’s first woman architect. Since the Great Earthquake in 2005, she has also been energetically working for humanitarian aid. As a pioneering leader in Pakistan’s society and culture, her contribution to cultural heritage preservation and to the development of a disaster-resistant society has been enormous. Ms. Yasmeen Lari is Pakistan’s first female architect, and has not only created many contemporary buildings, but has also played a decisive role in the preservation and conservation of historical buildings, through the Heritage Foundation of Pakistan, which she herself founded. The support programme which she organized for the victims of the Great Earthquake in Pakistan in 2005 also exemplifies her engagement in humanitarian projects. Her work as a pioneering female leader of Pakistan’s progressive social and cultural movement has been crucially important to protect the historical heritage and to create a disaster-resistant society. Ms. Lari was born in Punjab Province in Pakistan in 1942. She was encouraged to become an architect by her father, who was a public officer in charge of city development. She studied architecture at the Oxford School of Architecture (now Oxford Brookes University). After returning to Pakistan, she founded an architectural office in 1964 as the nation’s first woman architect. She not only worked on contemporary architectural projects in the private housing and commercial sectors, but also tackled the challenges of improving the living conditions of the slum inhabitants and illegal residents, and designing low-cost housing. In 1969, she was elected a member of the Royal Institute of British Architects. Later she became the President of the Institute of Architects, and then the first Chairperson of the Pakistan Council of Architects and Town Planners, and has had a great influence on contemporary architecture and city development in Pakistan. Meanwhile she designed the Finance and Trade Centre (1989) and the Pakistan State Oil House (1991) in Karachi, and her work was included in 20th Century World Architecture (2012, Phaidon Press, UK). Since establishing the Heritage Foundation of Pakistan in 1980, Ms. Lari has protected many historical buildings and places of cultural significance in the country. In 1994, the Sindh Cultural Heritage Preservation Act was enacted, and she helped in the selection of 600 historical buildings for preservation as part of Pakistan’s cultural heritage. 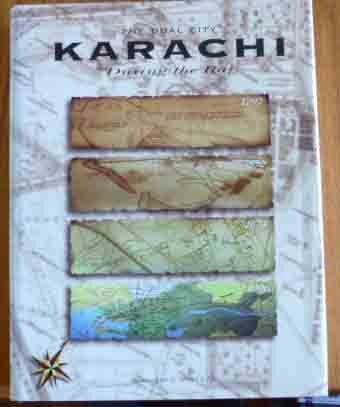 She has written a number of books on the development of Karachi and its construction history, by which she has given enormous support to the rediscovery and re-evaluation of Pakistan’s cultural inheritance, and its preservation. Moreover, after the Great Earthquake in 2005, she began a rehabilitation programme for the victims, and has been involved in humanitarian aid work ever since. The shelters provided by her are made of locally sourced materials like lime and bamboo, and in vernacular method, and are therefore low-emission and easy for the victims themselves to build. At the same time, she has grappled with the problem of poverty among women and children, and has supported capacity-building to promote independence among the socially disadvantaged. Ms. Lari’s efforts have earned high praise across society, and in 2006, she was selected as one of the “60 Women Contributing to the 60 Years of UNESCO”. In 2013, the Heritage Foundation of Pakistan received the “Islamic Development Bank Prize for Women’s Contribution to Development 8th Edition”. She also participated in a number of international conferences such as the UN World Conference on Disaster Risk Reduction, and made a valuable contribution as a panelist to argue the importance not only of construction/development but also of cultural heritage preservation in disaster stricken areas. At the first Chicago Architecture Biennial in 2015, she presented an exhibition on “No-Cost/Low-cost Alternatives for the Dispossessed”, which won international acclaim. For her contribution to the social advancement of women by becoming the first woman architect in Pakistan, and also for her creative activities in cultural heritage preservation and in promoting a disaster-resistant society, Ms. Yasmeen Lari is a truly worthy recipient of the Arts and Culture Prize of the Fukuoka Prize. Public lecture will be held at Event Hall B2F, ACROS Fukuoka by inviting Ms. Yasmeen LARI, a laureate of the Art and Culture Prize. Admission is free. We hope you will join us there.